Whip up a homemade remedy that treats your main complexion concern. 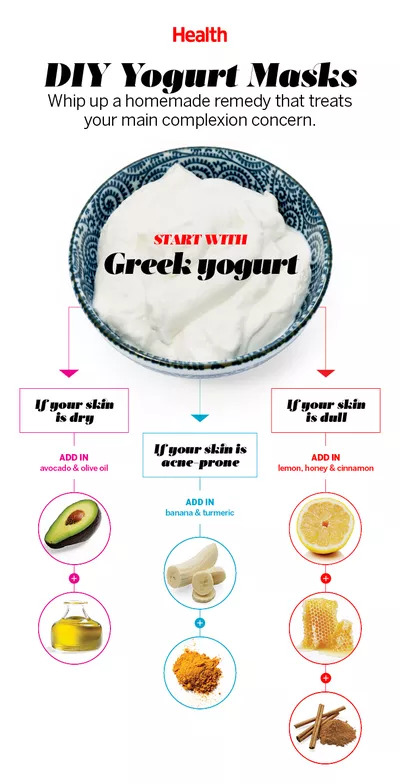 As your base for each mask, use ½ cup of Greek yogurt. 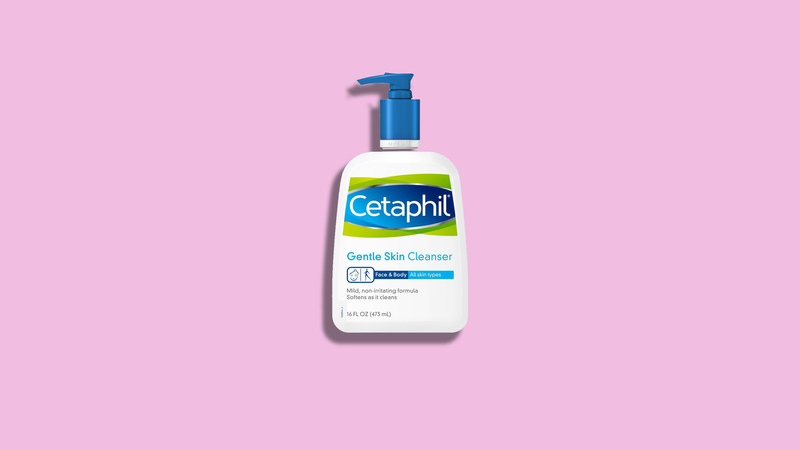 Thanks to its fatty acids, antibacterial properties and probiotics, this breakfast staple helps keep skin clear and soft, says Whitney Bowe, MD, a dermatologist in Briarcliff Manor, NY. Just go with the flavor-free, full-fat stuff, she adds, because it's richest in skin-saving lipids and proteins. The fatty acids in this powerful pair help skin retain water for a so-soft feel. Scoop out half of the avocado's flesh and mash until lump-free. Blend with yogurt, then stir in 1 tablespoon of olive oil to form a uniform paste. Apply and relax for 15 minutes while the mixture pumps moisture into skin; rinse with warm water. The potassium-rich fruit slows the growth of blemish-causing bacteria, and a spoonful of the spice curbs oil production. Mash half a ripe banana until it forms a lump-free pulp; mix with yogurt, then stir in 1 tablespoon of turmeric powder. Let the mask sit on skin for at least 10 minutes to de-gunk pores. Rinse with lukewarm water. This trifecta sloughs off dead cells and boosts circulation for instant radiance. Combine 1 tablespoon each of freshly squeezed lemon juice and raw honey with yogurt. Add a dash of cinnamon and blend. Slather it on (avoiding the eye area), then wipe off with a warm washcloth after 15 minutes. Feeling tingly? Don't worry—that's the cinnamon bringing oxygen-rich blood to the surface of skin, giving you a healthy glow.